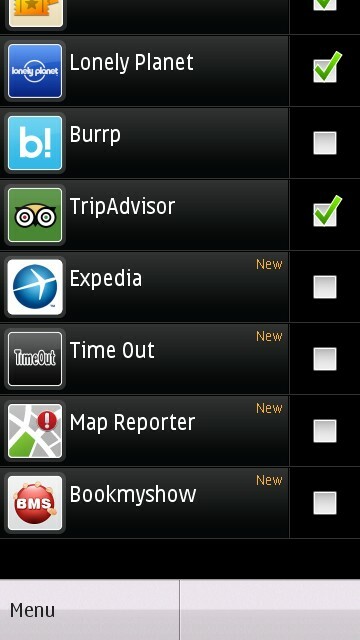 Ovi Maps has now upgraded to a new version which is v3.06 which has a long list of improvements and enhancements. 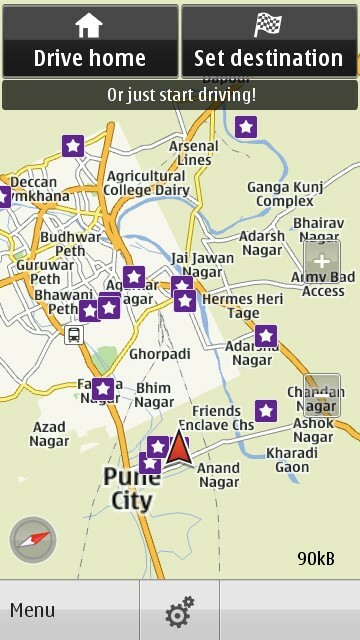 The major enhancement is the inclusion of the Public Transport Lines in the maps. 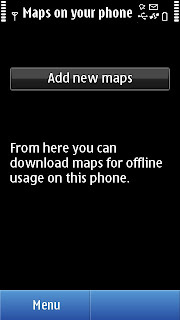 This is going to give an edge to Nokia N8 as a GPS device in many countries that still do not have major GPS players. 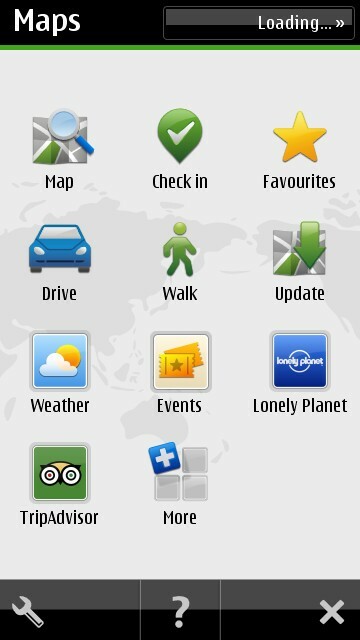 What really amazes me about Nokia is the effort which it has put in mapping cities in many countries which are not yet mapped by the home grown GPS companies. These cities tend to be very tricky in terms of mapping roads and places as they are old and not organized (in terms of city planning). 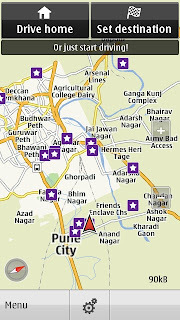 Indian cities are a big example in this context and now that we have transport lines included, makes Ovi Maps much more wanted. You get an option on the map view to enable the transit line visibility which once enabled shows the entire transit line on the map. 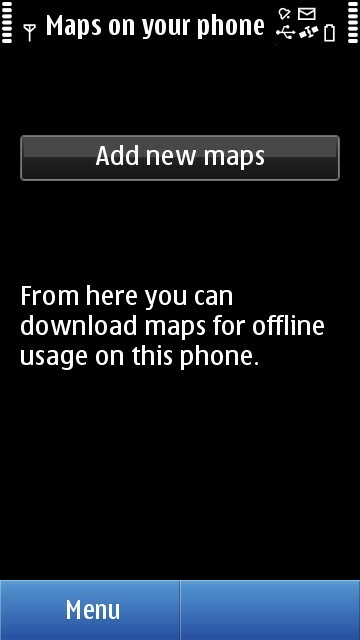 However, if your location is not supported for transit lines by Ovi Maps, this option is disabled. There are 80 cities across the world which have maps updated with the the transit lines. 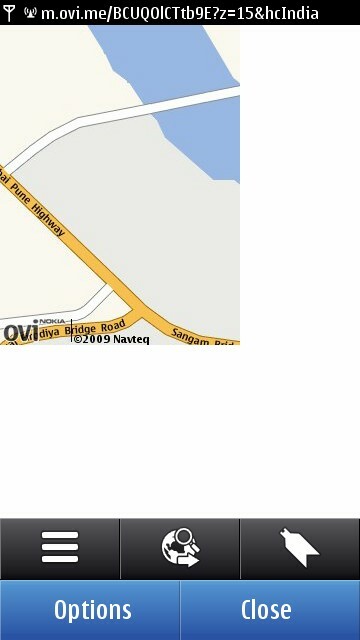 You can download maps directly on your mobile phone using WiFi and from now on you do not need to depend upon the Nokia Ovi Suite for more map updates. You can even pause the download once you move out of a WiFi hot-spot and again continue later.The only drawback being that it only supports WiFi for map downloads as of now and this might change in the future versions allowing 3G as well. 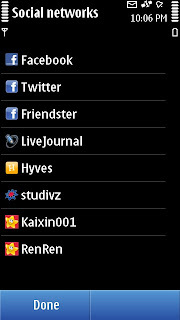 You can use the Check In feature to update your presence in a particular location which can be saved privately and also shared with your friends on a number social networls that include - Facebook, Twitter, Friendster, LiveJournal, Hyves, Studivz, Kaixin001 and RenRen. We might see more networks getting added in future versions. 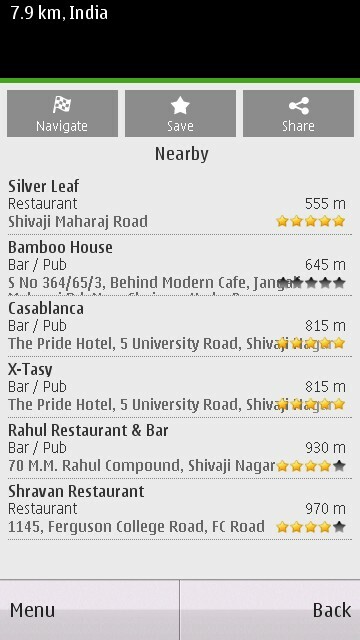 You can now share a particular location using SMS and Email. 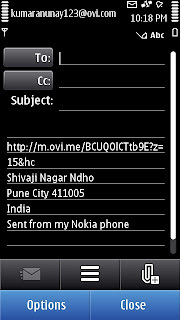 The SMS includes a URL that can be opened by any non-Nokia mobile phone. 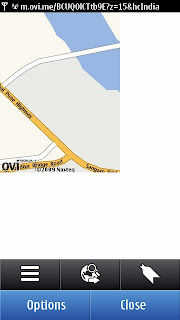 This URL produces an image of the portion of the Nokia map which contains your location. The Email contains the address of the location as well along with the Map URL. 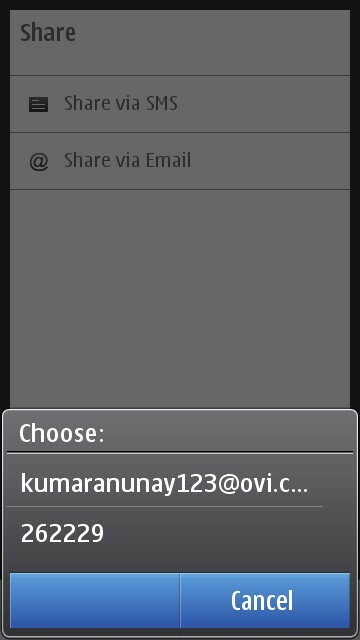 If you choose the sharing option as Email, you get the list of email accounts available on your device to be used for sending email. 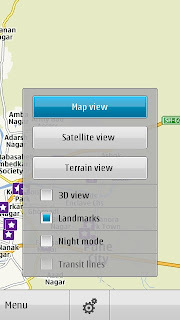 The 'More' option in the Ovi Maps allow you to add a number of widgets that allow enhance the map functionality. 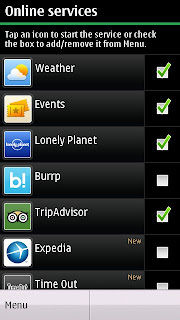 This includes Burrp, TripAdvisor, Expedia, Lonely Planet, Events, Weather, Map Reporter and many other country specific widgets. 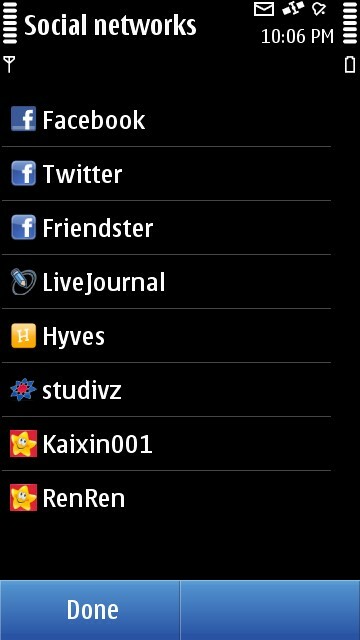 Other changes in the application include cosmetic changes to the GUI. 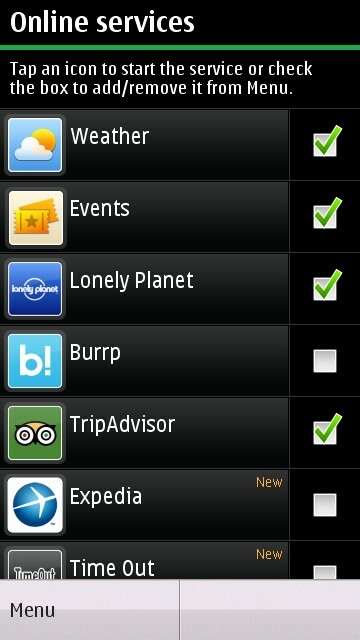 The search functionality has improved in the new version. 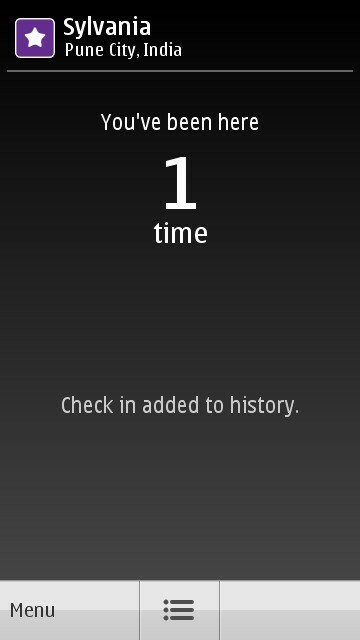 Actually, the overall performance of the application seems better to me. I believe this is one of the major upgrades across all the previous ones and it is definitely worth trying. 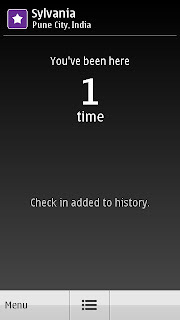 You can directly install the new Ovi Maps version and if you have connected your Ovi account to the previous version, the new version retains your account login info and automatically logs you in. 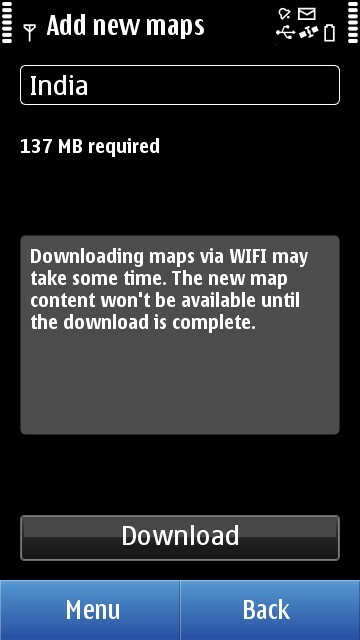 This version deletes the pre-existing offline maps from your device and you need to update your phone with new maps that contain transit lines data. 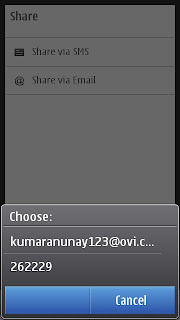 However, the existing Voice Guidance data is retained and you need not download the voices again. 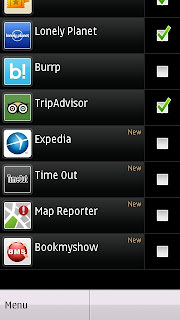 Do not use the Nokia Ovi Suite directly after installing Ovi Maps to update the maps. Try to use the Ovi Maps application without the offline maps atleast once (make sure that you have a data connection - 3G, Wifi, GPRS or EDGE) and let it draw/download some online realtime map for you. This will create all the required folder structure in the installation folder and then you can continue updating the maps in the application which ever way you want (OTA or using Ovi Suite). This is a one time requirement.